Do We Have Any Viable Alternatives to Google? There are some online services that have become so widely used that we simply take them for granted. One of them is Google, the search giant that not only dominates the world of internet search but it is literally synonymous with internet search. But as all services online today, Google is vulnerable to regulatory changes. The practices of Google and its likes are not being very well received by regulators in the EU, so much so that price comparison engine Foundem almost took Google down as a result of the search giant's anti-competitive practices. This makes us wonder: in the case, the unimaginable would happen, and Google would be banned by the authorities of this and that country, region or area, would we have any alternatives to turn to? Google killers? Actually, we would have. But don't look for alleged "Google killers" - these are things invented by the media to attract more visitors and sell more advertising space. Actually, there is no search engine that can currently compete with Google Search. This is not a surprise, considering how massive a company it has become in its two decades of existence. The search tool that was born in a rented garage, on a server that was bought piece by piece by founders Sergey Brin and Larry Page, now occupies several entire datacenters around the world (15, to be exact, in countries from Chile to Taiwan, and several of them in North America) hosting an estimated 10 to 15 exabytes of data (1 exabyte is 1 billion gigabytes). And, considering how many Android phones are being used (most of them making good use of the free storage offered by Google services like Drive and Photos (the latter offers unlimited storage to its users). Google has grown way beyond search, becoming one of the biggest advertising companies in the world, and reaching into a vast variety of other industries as well, from robotics to AI and others. "Google killers" have no chance of even putting a dent into the dominance of Google on the search market. Even its arch rivals - Yahoo! Search and Bing - are helpless when compared to the big G, not even when using tricks like trying to trick users into using it (Bing) and bundling the service with the second most popular web browser (Yahoo! and Mozilla Firefox). Microsoft's Bing has been the subject of a series of pretty disgraceful news in the last couple of years that showed that the most popular term its users are searching for is... "Google". If these major players on the search market with a pretty decent market share can't compete with the Mountain View giant, how could a startup with limited financial possibilities stand a chance against it? Let's assume for a while that Google succumbs to a higher power and becomes unavailable for any and all reasons. Are there any viable alternatives to the user-friendly giant living on our phones that can help us search for... whatever? Metasearch engines were quite popular back in the early days of the internet - the names Metacrawler, Hotbot, and Dogpile probably sound very familiar to those who have used it in the 1990s. These services collected and arranged the search results of multiple search engines for their users, serving more like an interface to them rather than a search engine. DuckDuckGo is similar to a metasearch engine but instead of using the search results of different search engines alone, it uses information from more than 400 individual sources of crowdsourced data like Wikipedia, combining them with the results of search engines like Bing, Yahoo, and Yandex, among others, to serve its users with search results. What makes it the most attractive for many is that it is a service focused on privacy - it shows all of its users the same search results without profiling them in any way and without storing any kind of information about them. DuckDuckGo is the default search engine in the Tor Project's Tor Browser and it is included as an option in web browsers like Apple's Safari and Mozilla's Firefox, as well as at least an option in many skinned editions of the Google Chrome browser. The company was founded by Gabriel Weinberg in 1998. Today, the search engine receives more than 30 million queries a day. Microsoft's response to Google's search market dominance has been around for two decades this year, first as MSN Search, Windows Live Search, later as Live Search, and finally Bing. 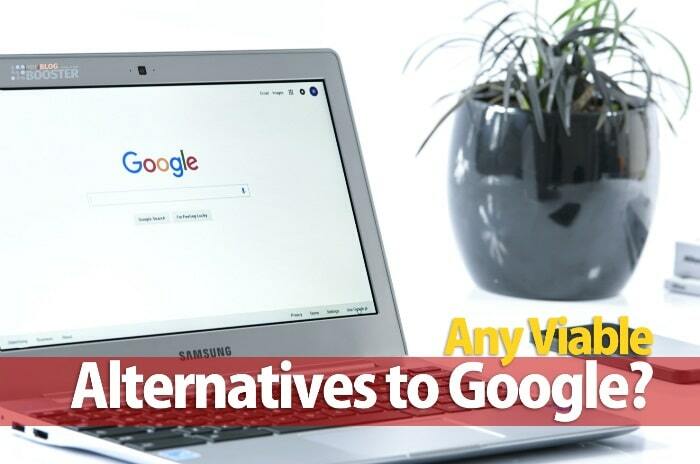 While the number of web pages in its index is around a third compared to its main competitor, it is still an alternative that many consider viable in the case Google goes down. The product we know as Bing was launched in 2009, and quickly became the engine behind the search services offered by Yahoo!. While the depth and the variety of its search results is far behind what's offered by Google's product, Bing is still a viable alternative to users and webmasters alike, especially since it offers a similar set of services (including image search, media search, maps, and their likes) and webmaster tools like its biggest competitor. YaCy is a little-known search solution that's different from the ones above - instead of relying on crawlers and massive databases, it is built on peer-to-peer networks. This is the good part - the bad part is that it doesn't work like a traditional search engine (running on a server and accessible through a web browser) - users need to download and install a package to their computer in order to use it. Each of the peers running on local computers crawls through the internet and indexes web pages, storing them in a common database called an index. It can be used as a proxy server, indexing web pages visited by the user or as a search engine indexing the users' local intranet. It is a truly distributed approach to online search, albeit one that requires way more knowledge than a simple Google search. But it's an alternative nonetheless. Google has conquered pretty much every major online market in the world, becoming the search engine in countries from Algeria to Zimbabwe... but it never managed to break into China. That's, on one hand, because of its ethics (that the company seems to give up as of late), on the other, because of the local search market being dominated by Baidu. Baidu is a Beijing-based tech giant that is in China what Google is in the West. It has its own App Store, Maps, cloud storage, news reader, knowledge sharing service, music search, social network, and pretty much everything else Google has to offer. It is the second largest search engine in the world and the biggest in China, with a market share that exceeds 75%. Yandex offers its users a similar set of services, only at a smaller scale - it's Russia's response to Google. It is the largest search engine in Russia with a market share of more than 50%. It didn't stay in its local market only, though, expanding to countries like Turkey and China, and even opening offices in Silicon Valley. As you can see, even if Google disappears from our lives, there are other services that we can reach out to as alternatives. While Google may have every aspect of our online lives covered, it's not the only one - there are others out there that, in time, can become much bigger and much more competitive than they are today. While there is no way of telling which one of the currently available search solutions will be the next Google (in the unlikely event the search giant abandons its leading position in the market and focuses its efforts to other types of services), it is good to know that we have solutions to reach out to if the unimaginable happens.